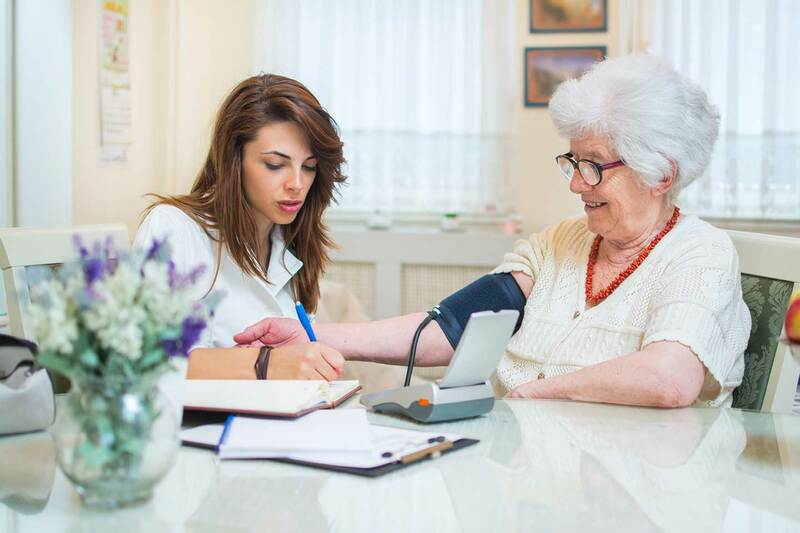 Home health is a growing segment of healthcare. It has a unique model, in that interactions take place in homes, not healthcare facilities. The need for these types of services is only increasing as Baby Boomers continue to age and require care. According to the National Association for Home Care & Hospice (NAHC), there are at least 12 million Americans that require home health services with nearly 70 percent being over age 65. That number can only be expected to increase over time. Nurses in the field need a tool to keep other care team members informed and to scan and exchange documents and images with PHI. Without a secure texting solution, they are simply using their own personal smartphones which don’t have the security features required by HIPAA. While many home health organizations recognize the need to stay in contact regarding the patient’s well-being and develop BYOD (Bring Your Own Device) policies, that may not be enough. Bottom line, without a home health secure texting application, users will default to what’s convenient, even if it’s in violation of regulations. Even with an effective BYOD program in place, it doesn’t mean you have a communication tool. What happens if a nurse’s device is stolen? Not only would the thief have access to the user’s information but they would also have access to all of the patient’s protected information as well. This would be considered a HIPAA breach and could come with heavy fines. The home health workforce is mostly mobile, making many home visits throughout the day. At any one of those visits, something could occur requiring communication or documentation to a third party. Because this communication has sensitive information, they also have to be cognizant of compliance. Without secure texting, information and documentation could be delayed, which can jeopardize care. Most home healthcare workers can attest to the need for a secure communication tool, noting the potential for delays in care. In the last few years, home health has begun to see the benefits of secure texting and is beginning to adopt the problem-solving tool. In fact, we’ve put together a case study about our partnership with Five Star Home Care to illustrate how organizations can go from delayed responses and non-compliance to streamlined, secure communications. In our review, we learned it saved employees up to six hours a week. Getting that time back and being able to spend it on patient care rather than paperwork is invaluable. Secure texting has become one of the most powerful tools in the home health care workers arsenal. Not only is it proving an efficient method of communication, but it also allows them to escalate patient concerns more rapidly than before. Your nurses and healthcare workers could be saving precious time every day by making communication and document sharing available through a secure texting app. That’s time that could be better used focusing on improving care. Often, there is no time to wait regarding critical information about the patient. Your workforce needs a better tool. Consider the secure texting app Qliq from QliqSOFT. Qliq is used by home health organizations all across the country. Our clients in the field report more streamlined workflows and increased speed of processes like referrals. It makes a difference in their everyday care for others. It’s time to equip your staff with a home health secure texting tool—it will revolutionize how you communicate. Start now by requesting a demo of how it works.